ObamaCare has more than doubled the premiums I pay as an employer to provide health insurance for my U.S.-based employees. This has contributed significantly to my decision to stop hiring Americans and focus all job creation overseas. At the same wages, non-US employees are significantly less expensive in terms of total costs than US-based employees. Due to the enormous rise in costs, we have been forced to change to a lower-quality health care plan. We now pay much more for insurance which provides much less in terms of coverage. One area which has been hit exceptionally hard has been dental coverage. We had to drop it entirely. All of our dental costs, including my own, are now paid out-of-pocket. This caused me to start looking seriously at alternatives. 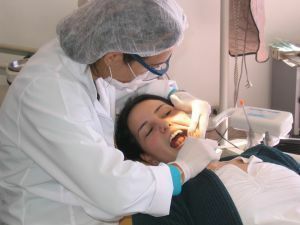 One surprisingly affordable alternative is dental tourism — leaving the United States for affordable and quality dental care. I discovered that it is less expensive for employees to travel to Kotor Montenegro for dental work than for them to get the same work done in the United States. Obviously this isn’t true for simple cleanings, but for more complex procedures the savings can be significant. The cost of a root canal moves from $1,000 to under $100. The cost of a crown moves from $1,500 to under $200. These savings exist because these Montenegrin clinics are part of the free enterprise system. Unlike the United States, the government of Montenegro does not legislate every aspect of the operation of a private dental office. The result is higher quality dental work at significantly lower prices. My employees can work online from Kotor during their stays, so we lose almost nothing in terms of productivity. Or, if they wish, they can take time off and explore the region. Either way it is a big win for them and very popular — especially as they have less paperwork to deal with at the dentists office.